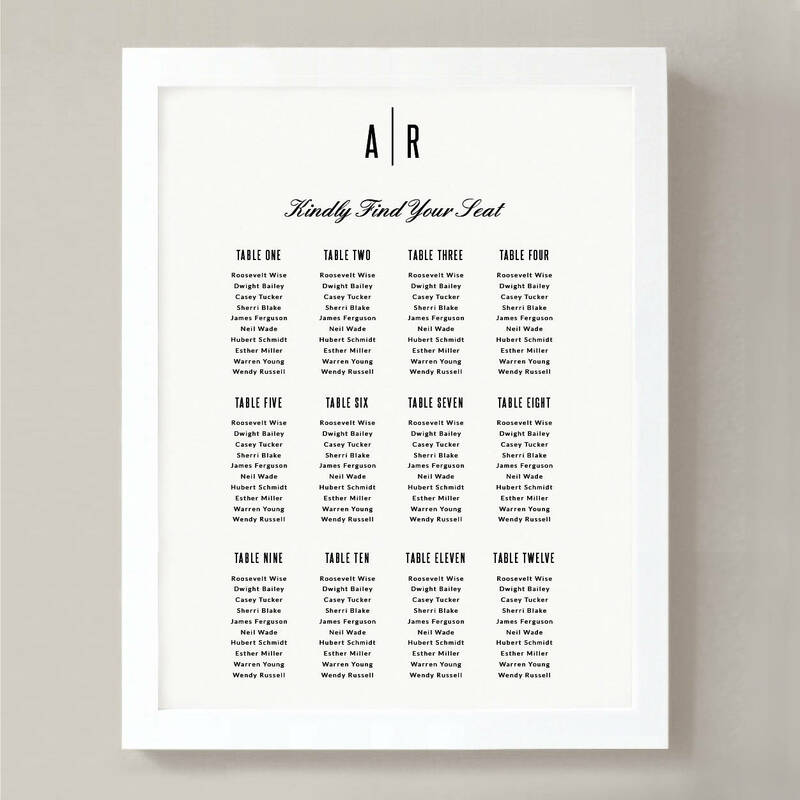 Use your home printer to create stunning printable wedding seating chart. This DIY seating chart template is a savvy and inexpensive alternative, no one will guess you made them yourself! All artwork colors can be changed directly in Word or Pages! Simply click on the artwork and choose a new fill color. All suggested fonts are free. Links to all suggested fonts are included. You can also use ANY font you wish! HOW MANY GUESTS FIT ON THE POSTER? If you have a lot of guests, I suggest using the included Alphabetical Chart, pictured in the additional listing photos. 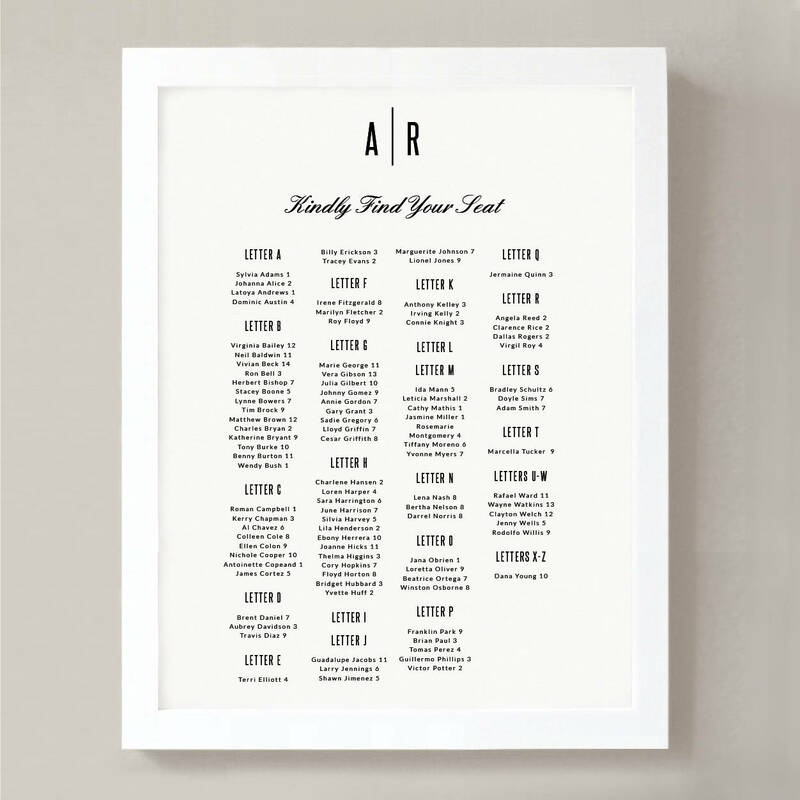 One can easily accommodate 200-300 guests on this chart, by reducing the line spacing and fonts size. CAN YOU MAKE THIS POSTER LARGER? Unfortunately, this is the largest size that Word will allow.